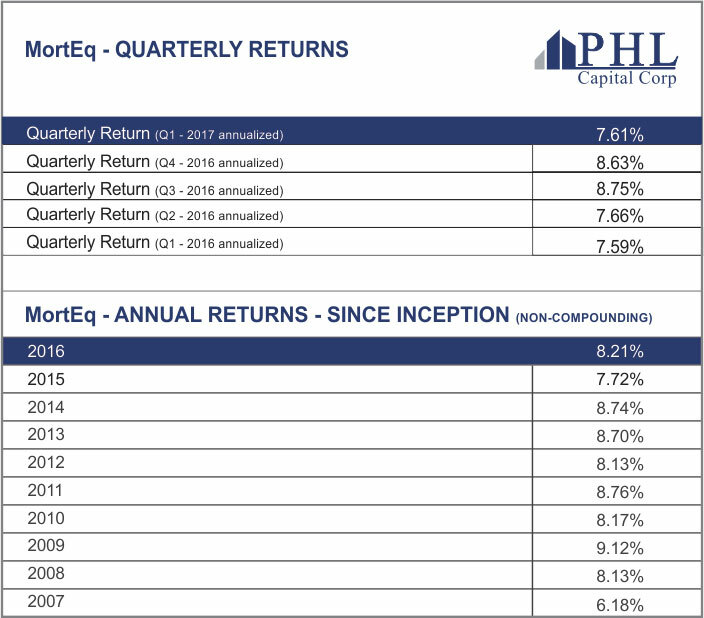 MortEq Lending Corp (MLC) generated a quarterly return of 7.61% (annualized) for Q1 -2017. Demand for non-institutional mortgages remains strong in Metro Vancouver & the Fraser Valley; we anticipate this trend to continue through 2017. Federal, Provincial, and Municipal rule changes have made it more difficult to obtain institutional financing and this has created some volatility in the real estate market. These changes have created additional opportunities for MLC to finance lower risk first mortgages in our target markets of Metro Vancouver & the Fraser Valley. Please contact us if you want to discuss any real estate or investment related questions. The next opportunity to invest in MLC is March 1, 2017. If you will be transferring funds from another financial institution, we recommend initiating the transfer by the end of January to ensure your funds are transferred by the March 1st deadline. Transfers can take 3-4 weeks depending on the financial institution. Please let us know if we can help with your plans to top up RRSP & TFSA investments for 2017. Investors have until March 1, 2017, to make a contribution to your RRSP that will entitle you to a deduction on your 2016 tax return. The annual TFSA dollar limit will remain at $5,500 for 2017. If you have never opened up a TFSA and you were at least 18 years of age in 2009, your total TFSA cumulative limit will be $52,000 in 2017.